"Good Morning Everyone!" 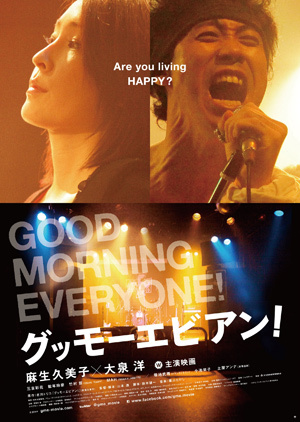 revolves around a family involved in the punk music scene. 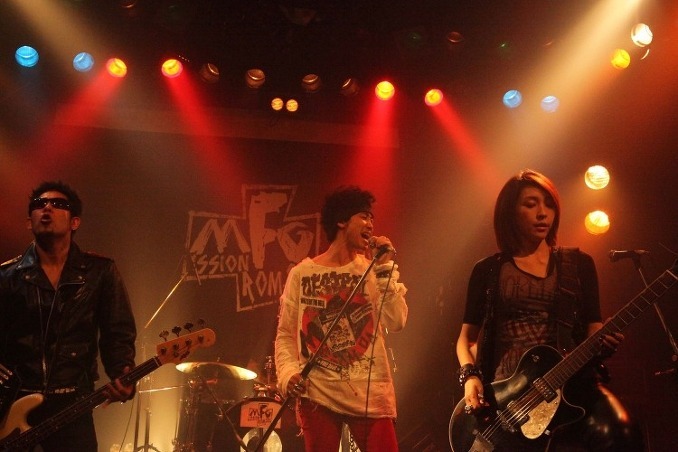 Aki (Kumiko Aso) is a former guitarist for a punk band. She became pregnant and gave birth to a daughter named Hatsuki (Ayaka Miyoshi). The mother and daughter live together happily, but they do have different personalities. A man named Yagu (Yo Oizumi]) then enters their life. He is an ex-member of the punk band that Aki played with. Yagu has feelings for Aki. Filming took place November 12-28, 2011. Kumiko Aso was five months pregnant during the shooting. did the director take their age in to consideration when choosing them ? Faris Sep 06 2013 8:16 pm Anyone knows the song which was played in the ending credits?